We’re delighted to announce the news that Social Business Trust has awarded £1.5 million worth of funding and business support to The Reader, allowing us to reach many more people across the country through shared reading. We’ve been working with SBT since 2013, when their initial funding and investment of £280,000 gave us the learning and support needed to grow and strengthen the core of what we do. Expertise from SBT’s corporate partners including British Gas have enabled us to develop our projects, measure our impacts and help people who need the benefits that our unique and innovative shared reading model can bring. Thanks to continued support from SBT through this new package of funding, we’ll be able to more than double the number of people we reach from 11,000 a year to 27,000 by 2018. 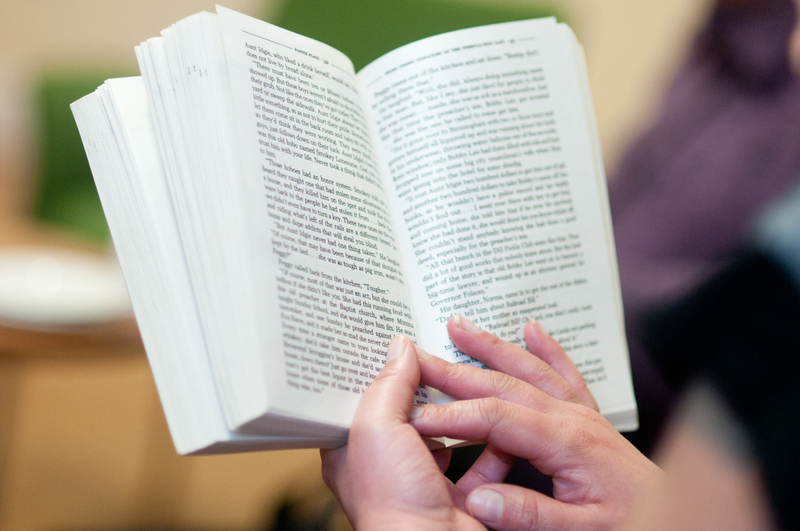 Our shared reading groups take place in a variety of settings around the UK including prisons, mental health centres, care homes and local communities. The simple model of reading aloud in facilitated groups is proven to support positive mental health and wellbeing, combating isolation, calming aggression and helping people with dementia. 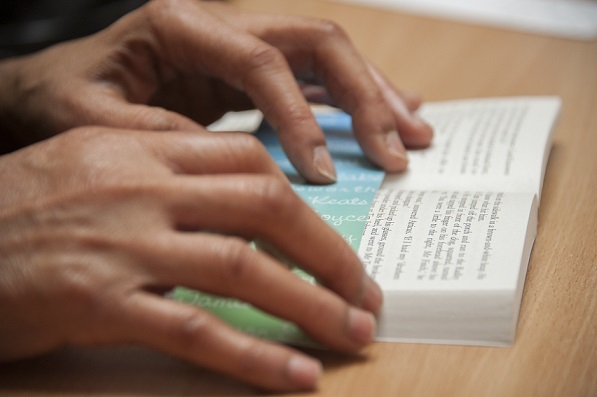 Through the act of reading on a regular basis with others, people can connect with a better understanding of themselves, realise opportunities they might not have thought possible and make changes in their lives. Angela from Liverpool has bipolar affected disorder and experienced a full nervous breakdown three years ago. She joined a group at The Reader a year ago and then started volunteering on reception at our head office. As a result of building her confidence and experience, she is about to begin a paid job. Thanks to our continued funding from SBT, we’ll be able to help even more people in many more places across the UK. To find out more about how SBT are helping social enterprises around the country, including The Reader, to scale up the impact they make, visit their website. Professor Philip Davis, Director of the Centre for Research into Reading, Literature and Society (CRILS) at University of Liverpool, will appear at Age UK’s For Later Life 2015 Conference this November showcasing the latest research on the relationship between literature, shared reading and dementia. The theme for this year’s For Later Life conference is brain ageing and dementia, and will consider how health and care services can best help older people in an increasingly ageing society to live as well as possible with cognitive decline, in many cases alongside other health conditions. CRILS is the research partner of The Reader Organisation and most recently published Read to Care, a report evaluating the impacts of engaging with literature, specifically the shared reading model introduced by The Reader Organisation, amongst people living with dementia. We have been reading in dementia settings since 2006, with the model adapted to make the reading experience more easily accessible and meaningful for group members involved. 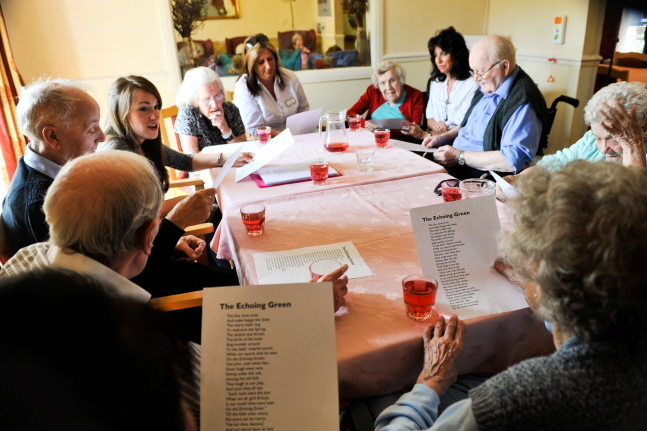 Examining how shared reading can contribute to an improvement in quality of life for people living with dementia, Read to Care places particular consideration on the impacts of reading poetry in shared reading groups upon mental processes including memory, emotion and personal awareness. I asked her a question a bit later and she seemed slightly startled, as if she had been thinking. She then said: ‘Do you know what I think. When you’re young, why do you grow up?’ This felt like a very good question to be asking: perhaps somewhat in the spirit of a child, but from an adult’s perspective. The losses in dementia are often like the gains in development when, in the child, they come and go because not yet firmly established as acquired skills. Polly started to speak towards the end of the session of several childhood memories. She spoke of her father, who I had not heard her mention before. He had had a stroke when she was still only young, and Polly said that she couldn’t understand, as a child, why he couldn’t speak. She said there were times when she did not know where he was; she seemed to imply that it felt as if he was not there. Professor Davis will discuss the relationship between shared reading and dementia and present findings from Read to Care in ‘The arts: case studies in dementia care’ as part of For Later Life 2015 on Wednesday 18th November at BMA House, London. The conference will showcase new approaches in the prevention and treatment of age-related cognitive impairment, innovative policy proposals and promising practice ideas, and the latest research findings. Places registered before 23rd September 2015 benefit from reduced rates. For more information about the For Later Life Conference, see the Age UK website: www.ageuk.org.uk/forlaterlife or download the conference brochure. The North West has been recognised as a leading region for social enterprises in the UK, and The Reader Organisation is proud to stand amongst the top regionally based social enterprises listed in the Natwest SE100 Index. The Natwest SE100 Index tracks the performance, growth, financial progress and positive impacts of social businesses across the UK, breaking down data by regions and sectors. It includes data from nearly 1,000 businesses and organisations to date, 83 in the last year hailing from the North West, and all of which can be viewed on an open-access platform. You can view and search the Index here. Over the past financial year, the North West social enterprise contingent has recorded an average growth of 9.6%, a total combined turnover of over £717 million and a combined regional profit increase from £62.9 to £69 million. We’re delighted to be part of the thriving social enterprise sector in the North West, and look forward to building on the region’s success in the oncoming year with our continued development of Calderstones Mansion to become the International Centre for Reading and the opening of the Storybarn – the region’s first interactive story centre for children. Every year, almost 148,000 children leave primary school in England unable to read well – including one third of all children growing up in poverty according to a report released by Save the Children as part of their Read On Get On Campaign. Ready to Read calls on national government for ‘a decisive shift towards early action and investment to help address one of the country’s most pressing challenges – entrenched educational underachievement’. Due to the impact of Early Years speech and language development on life chances, the report states that in order to fulfil the primary aim of the Read On Get On campaign – that every child in England can read well by the age of 11 by 2025 – an interim goal is needed: that every five-year-old in England should have good language skills by 2020. However in the midst of calls for national focus and investment in Early Years, Save the Children recognises that this challenge is not Westminster’s alone. It also requires the coordination of local services, organisations and families to address reading standards – an area in which Liverpool is already leading the way through its city-wide campaign City of Readers, joint-funded by Liverpool City Council and Liverpool Learning Partnership, and delivered by The Reader Organisation. Taking the initiative in 2012 to lay the foundations for future prosperity and skills growth, Mayor of Liverpool Joe Anderson instigated a 12-month commission into the city’s education system, led by former education secretary Estelle Morris. The Mayor saw a link between improving reading standards for children and reducing the number of NEETs (young people not in education, employment or training). The commissioned report From Better to Best was published in July 2013 and the City of Readers campaign was formed in order to develop a new generation of readers in Liverpool. Since then, the Liverpool Learning Partnership initiative City of Readers has been promoting opportunities for families to help their children’s language and speech development, through projects including the PVI programme commissioned by Liverpool City Council’s Childcare and Family Information Service (CAFIS). In the PVI programme, The Reader Organisation works with nurseries from the Private, Voluntary and Independent sector to deliver shared reading groups across Liverpool, for two-year olds and their parents and carers.This access to free early education also represents opportunities for family bonding and fostering reading pleasure. In another initiative to encourage families to read together, City of Readers recently hosted a free event with the Sunday Times Children’s Book Editor Nicolette Jones and award-winning writer Frank Cottrell Boyce at The Reader Organisation’s headquarters in Calderstones Park. This event, ‘Turning Pages Together: a celebration of children’s literature’ saw both author and critic highlight their rich experience of the best in children’s literature to the community, just one of many events that the City of Readers campaign will be offering across the city to make reading for pleasure more accessible and achievable. “I am delighted that Liverpool City Council has been so enlightened as to encourage the exemplary Reader Organisation, which has found effective ways of making children and adults love books, and has allowed them to make Calderstones Mansion the hub of this joyous activity, as well as enabling their outreach into nurseries, homes, schools and other institutions. “I want to thank everyone who’s been engaged in the City of Readers programmes, but I also want families to be engaged… I want your grandparents, uncles, aunties, mums and dads… to help work with our young kids to make sure that they’re able to read and if we do that I’m sure our city will have a better future in terms of educational standards”. On August 10th City of Readers will be supporting the Read On Get On national Storytime Starters event with Beanstalk. The city-wide celebration of reading will see storytellers from both organisations offering free storytime sessions across several parks and green spaces in the city. It’s Dementia Awareness Week (17th-23rd May), and this year’s theme is Do Something New, emphasising the fact that dementia needn’t prevent anyone from trying new things or taking enjoyment from the hobbies they already love. Shared reading is a wonderful way to connect people living with dementia to the deep pleasure literature can provide, stimulating thoughts, feelings, emotion and memory. In our groups specially for people living with dementia and their carers, poems are read by the leading project worker to the group. Often these poems will be ones recalled from childhood or another significant life period. The rhyme, rhythm and compressed language of poetry helps to stimulate and maintain concentration, sparking off traces of memory. As well as remembering their past, group members are encouraged to enjoy the literature for what it is in the present moment. Effects of shared reading in this way include an increased sense of calm, reduced agitation and increased social interaction with others who are enjoying literature in the same way. We were reading Wordsworth’s classic and much-used poem ‘Daffodils’. ‘Did you like it, Joan?’ asked the activities co-ordinator, to which Joan responded, very audibly – ‘Yeah. ­ There’s something about it, I can’t explain.’ This felt like a moment of progress, even though or especially because it was about not being able to explain and also being able to say that. Poetry of course is good at creating that effect for any of us, whatever our supposed mental ability or disability: poetry is, as it were, content with making something become present though not fully explicable. After the group, the activities co-ordinator told me that she had never heard Joan able to string so many words together, let alone read aloud words from a page, and in the right order. Staff at the care home have since told me that Joan has a framed copy of ‘­The Daffodils’ up on the wall in her room. More evidence of how shared reading can improve the quality of life of people living with dementia can be found in Read to Care, an evaluation report of several shared reading groups across Merseyside compiled by the Centre for Research into Reading, Literature and Society (CRILS) at University of Liverpool, available to download on our website. We currently run open community groups for people living with dementia and their carers in Devon, Wiltshire, and Barnet, North London. A new weekly group is starting at Manor Drive Methodist Church Hall, Whetstone on Thursdays, from 21st May, 10-11.30am. Our research partners CRILS at the University of Liverpool are seeking to set the world agenda in reading, health and wellbeing and the role of literature in modelling creative thinking about human existence. Contributing to a growing evidence base, three new reports were published this year by CRILS with partners including the Royal Liverpool and Broadgreen NHS Hospital Trust which demonstrate the impacts of shared reading to participants in groups in a range of settings. Specific studies examining a literature-based intervention for people living with chronic pain and development of research into how shared reading improves quality of life for people living with dementia brought forth a number of positive findings, and the intrinsic cultural value of The Reader Organisation’s weekly shared reading groups in providing a meaningful experience for different sectors of communities was also brought into the spotlight. All three reports can be read in detail on our website. This year we created many more shared reading practitioners around the UK and internationally with our revolutionary Read to Lead course. We’ve worked with a range of organisations in places including Calderstones Mansion House, Sheffield, Leicester, Derry, Durham, Devon, and Flanders in Belgium – equipping hundreds of people with the skills to share reading in their workplaces and communities. Our Ongoing Learning programme brought more Masterclasses touring around the country, and there was a brilliant programme of Short Courses for Serious Readers throughout the year discovering a wealth of great literature from varying topics and eras including The Divine Comedy by Dante, a Whizz-tour through the World of Children’s Literature and learning to Feel the Fear and Read it Anyway with selections of challenging literature. We were delighted to have our impact recognised on a local and national scale by being shortlisted for the Culture Champion award in the Powerful Together Awards for Social Enterprises across Merseyside and the Resilence category at the RBS SE100 Awards – both amazing achievements. 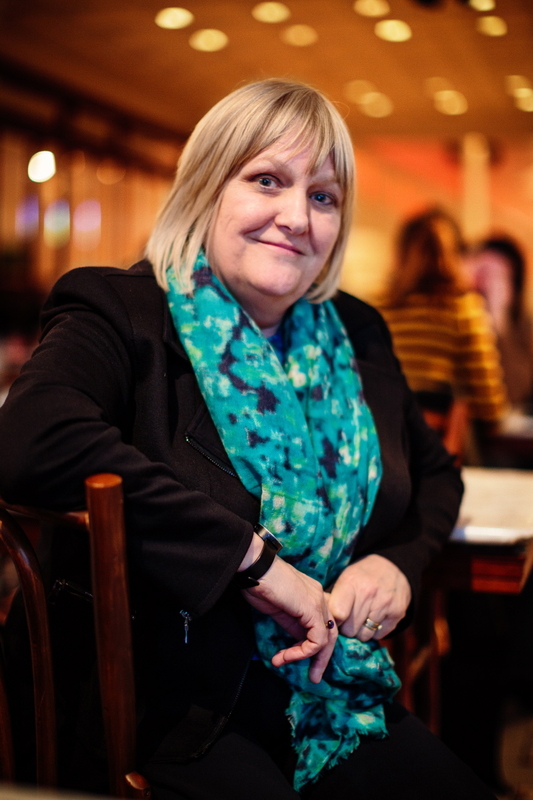 Our Founder and Director Jane Davis was nominated for the EY Entrepreneur of the Year in the Northern heats and shortlisted for Social Enterprise UK’s Women’s Champion Award. There were plenty of other wonderful things we took part in this year, including a global celebration of reading aloud on World Read Aloud Day, bringing shared reading to the bill at Latitude Festival, combining poetry with the great outdoors on World Mental Health Day and delivering taster sessions at the Literary Kitchen Festival in South London. This year also saw the expansion of our work into other areas of communal life, namely the opening of The Reader Cafe and The Reader Gallery at Calderstones Mansion House, which have been bustling with people enjoying local exhibitions and a scrumptious selection of food and drink alongside a poem. In September, we signed a lease with Liverpool City Council for Calderstones Mansion House giving us residency for 125 years, allowing us to begin the next stages of development for the International Centre for Reading – and we also relocated our Head Office to the beautiful surroundings of Calderstones too. Great literature remains at the heart of what we do and this year we expanded the core of our work, bringing shared reading and its benefits to even more people across the country. We began new projects for people with dementia/memory loss and their carers in Wiltshire and Gloucestershire, enabled more volunteers to join us to share reading in London, North Wales, South West and Leicestershire, began a pioneering project with service users, staff and volunteers at Phoenix Futures and employed our first Reader-in-Residence in Sheffield. Without doubt the best of our highlights come from our Readers who shared their remarkable stories with us, including Shad, D and A. Our thanks go out to everyone who has supported us throughout the year – our work could not continue without the valued input of so many people. We hope to keep reading with you for years to come! You can read more about our work in our Annual Report 2013/14, available on our website. We’ll be back in the New Year, and until then wish you all a very happy and peaceful festive season. Following on from two recently published reports by the Centre for Research into Reading, Literature and Society (CRILS) at the University of Liverpool, there’s due to be more upcoming research looking into the benefits of shared reading. Together with Goldsmiths University, London, CRILS will be running a 3 year research project examining and establishing the value and effects of shared reading sessions on individuals. The research is funded by Guy’s and St Thomas Hospital Trust and is part of our South London project, which focuses on a whole population approach to shared reading. A shared reading group which will be the focus of the research is to be set up in Croydon Central Library for an initial period of 24 weeks. 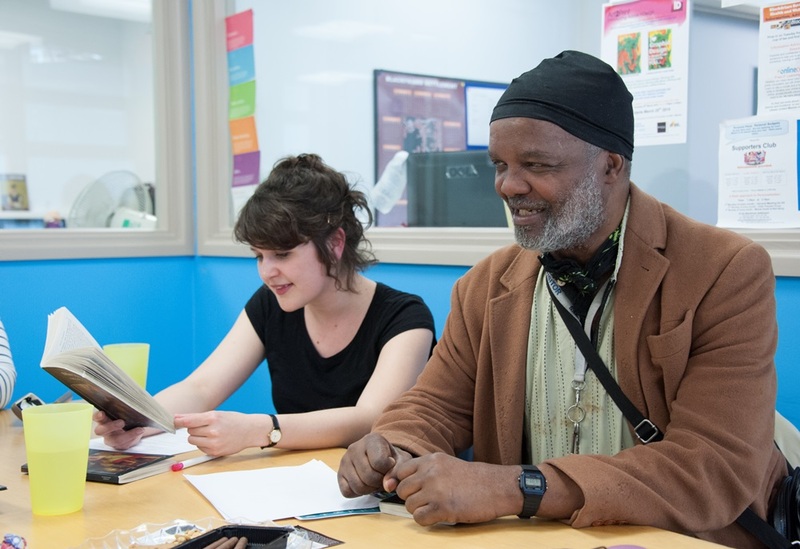 The project will continue ongoing research into the social and cultural value of shared reading, and is the first to take place in London, where our shared reading projects have been operating since 2009. We’re currently looking for anyone who would like to take part in the new shared reading group in Croydon Central Library as part of this new and valuable research. Shared reading groups are informal and voluntary, with no pressure to take part in the reading – you can simply listen to the texts as they are being read aloud. If you’re interested or would like more information, please call 0781 332 4852. Following a successful 2014 AGM last week – our second held at our new HQ, Calderstones Mansion House – The Reader Organisation’s Annual Report for 2013/14 is now available on our website to read and download. Our latest Annual Report charts what has been the biggest period of growth and development for TRO, with more shared reading projects expanding across the UK. Highlights of the year include a significant boost to our community projects in South London thanks to the development of a 3 year project to establish more than 100 shared reading groups across the area which meet the needs of the ‘whole person’ – a health priority flagged up at our National Conference 2013 by Andy Burnham MP, Shadow Secretary of State for Health; an expansion of our North Wales project, which is crucially volunteer-led to help us reach some of the most remote parts of the UK; a Reader-in-Residence project which saw shared reading brought to the heart of a workplace across Merseyside, and ongoing work with our partners including Mersey Care, Liverpool Hope University and CRILS (Centre for Research into Reading, Literature and Society). In a year which has also seen us consolidate our work in a practical sense with support from Big Venture Challenge and Social Business Trust, it is a heartening achievement that the serious pleasure of serious reading is continuing to spread further from its strengthened roots. The Centre for Research into Reading, Literature and Society (CRILS) at the University of Liverpool has published ‘Read to Care‘, an evaluation report of a research project investigating the quality of life benefits and impacts for people living with dementia in shared reading activity across Merseyside. CRILS is a research unit dedicated to investigating the effect of reading serious literature in the wider world, with a view to benefits in health and wellbeing, and is The Reader Organisation’s research partner. 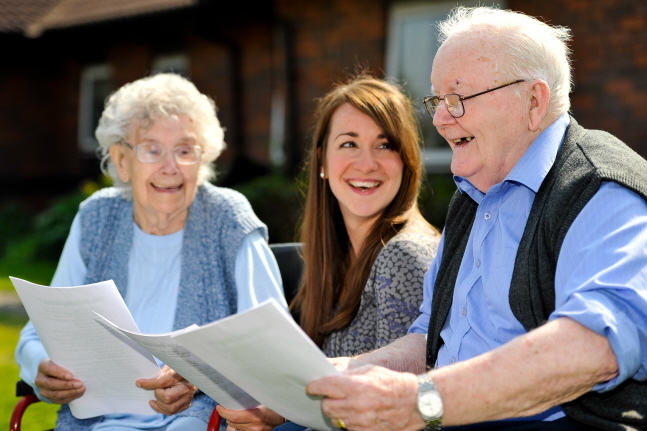 In 2012, CRILS evaluated TRO’s shared reading programme for people living with dementia with support from the Headley Trust – ‘A Literature-Based Intervention for Older People Living with Dementia’ showed that shared reading provided marked improvements in agitation levels, mood levels and concentration levels for participants, as well as improved social interaction. Developing from this, TRO was commissioned by NHS North West to undertake a follow-up study of the effects of shared reading in Care Homes in Wirral. The aim of the project was to further investigate the impact engaging in a shared reading group activity has upon people living with dementia, adding to and supporting a growing body of anecdotal evidence. The conclusions and recommendations of the report show that shared reading groups significantly improve the quality of life of people living with dementia, as well as providing valuable benefit to care workers and relatives in encouragement of remaining human possibilities. The report will be the focus of a presentation held at the University of Liverpool this November. Professor Phil Davis, Director of CRILS, will present findings from Read to Care, alongside one of The Reader Organisation’s project workers who was involved in the practical delivery of the groups participating in the project. Anyone interested in dementia and the relationship between literature, health and wellbeing is welcome to discover more. ‘Read to Care: Shared Reading Groups & Quality of Life Benefits for People Living With Dementia’ with Professor Phil Davis is on Thursday 20th November, 6.00pm, at Lecture Theatre 1, Sherrington Building, Ashton Street (off Pembroke Place), University of Liverpool. Cost: £20, including buffet supper. For more information and to book your place, download this registration form, and return to Joan Scott in the University of Liverpool CPD team at iltcpd@liv.ac.uk or telephone 0151 794 5776. The Social Business Trust (SBT) has published their latest Social Impact Report, outlining and quantifying the professional support it has offered to social enterprises across the country in the last financial year – of which The Reader Organisation was one beneficiary. Utilising the commercial and industrial talents of a number of partners which include British Gas, Credit Suisse, EY and Thomson Reuters, SBT’s clear goal is to help transform the impact of social enterprises, meaning that more lives of the UK’s most disadvantaged people can be improved. It does this by pairing social enterprises which face challenges in scaling up their operations with specialist business expertise from its partners. Investment, whether it be in the transfer of knowledge, funding new resource or buying in new expertise to the organisation, takes a long-term view in order to help social enterprises grow. For every £1 SBT receives as a cash donation, they invest £3 worth of grants and support in social enterprise projects, meaning that for every £100,000 donated, SBT on average grants £300,000 to social enterprises, and on average SBT’s portfolio enterprises have doubled their number of beneficiaries over the past two years. The Social Impact Report includes some impressive statistics: £3m worth of financial and professional support was invested by SBT in projects in 2013/14, with 144 volunteers engaged. 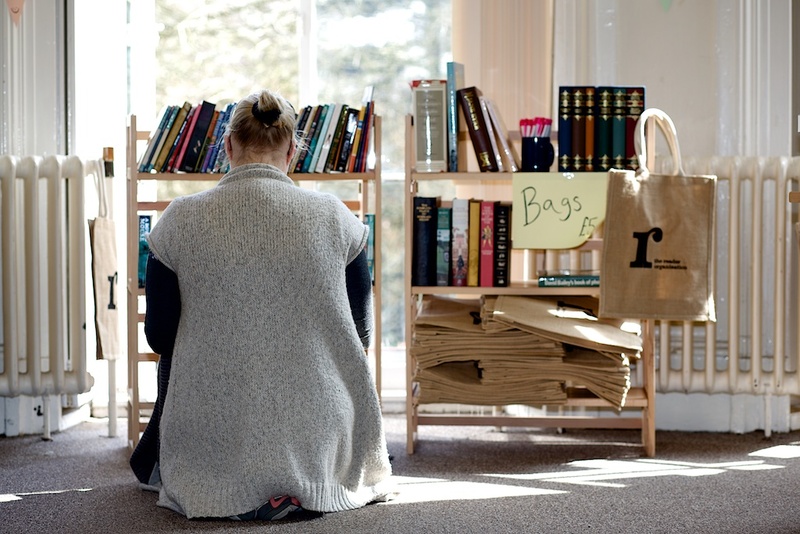 The Reader Organisation began working with SBT in mid-2013, with SBT investing £280,000 to help us reach and connect more people with great literature through the shared reading model. The support received from SBT has enabled us to grow in the areas of sales strategy, proposition development, impact measurement and strategic planning, and has allowed us to take two new members of staff on board – as well as reach over 13,000 beneficiaries. 2 weeks ago by thereaderorg Interested in playing your part in the Reading Revolution? We have a number of roles including Chef, Finance Assistant, Community Engagement Lead, Story Hunter and Catering Supervisor. Search The Reader Liverpool Jobs for details. 1 day ago by thereaderorg A huge thank you to everyone that voted for us in the 2019 HoopAwards - we're thrilled to have been named Best For Learning!